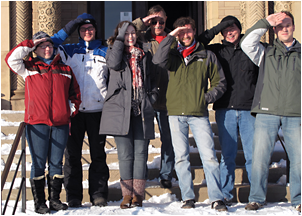 New, visually rich, astronomical software environments coupled with large web-accessible data sets hold the promise of innovative and exciting ways to teach, collaborate, and explore the Universe. 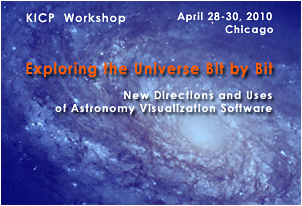 Exploring the Universe Bit by Bit will be a hands on workshop that will focus on four key visualization software environments: Google Sky, WorldWide Telescope, Celestia, & Partiview, with the immediate goals of developing applications and seeding new collaborations during the workshop. This interdisciplinary workshop is intended to bring together scientists, educators (formal and informal), and software developers to promote innovative uses of the emerging software platforms in scientific research and as tools for learning and teaching. With the help of developers of these applications, we will investigate their capabilities, strengths, and weaknesses; and identify future directions. A primary focus will be the creation of tours, classroom applications, collaborative research environments, and laboratory exercises during the workshop. These development efforts will be supported by mini-tutorials and one-on-one instruction by the creators of these products. 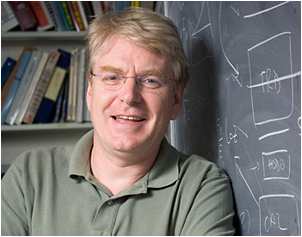 The principal developers of Google Sky (Noel Gorelick, Andrew Connolly, and Ryan Scranton), WorldWide Telescope (Jonathan Fay), Celestia (Chris Laurel), Partiview (Stuart Levy) will lead the instruction. 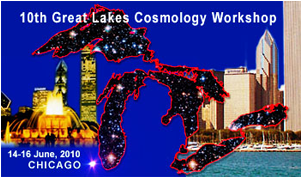 This workshop is modeled after the successful "Viewing the Universe:via the World Wide Web" workshop held at the University of Chicago in 2008. 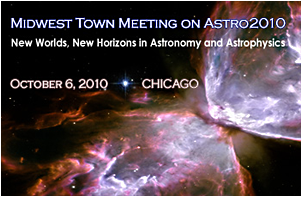 Time: 7:00 p.m. - 8 p.m.
A panel presentation on the nature and meaning of cosmic images, led by moderator Josh Frieman and featuring Christy Tremonti, Tom Crawford, and Mike Gladders. Spectacular images from instruments such as Hubble Space Telescope have permeated our culture and reshaped the public perception of what space "looks like". While their power and beauty is widely appreciated, the information content and scientific significance of cosmic images is less widely understood. Images used in astrophysics and cosmology differ significantly from forms of photographic imaging that we encounter in other contexts. They are a lot more than just "pictures of space". The technology and image-making practice is designed not to mimic human vision, but to maximize the information content of the final image. And, the creation of such an image is far from being the final step in the scientific process. 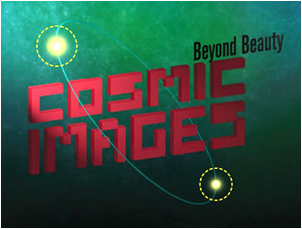 Interpreting or "reading" cosmic images, using mathematics and physics, is how we go from a beautiful (or sometimes horribly "ugly") image to a deeper understanding about our universe. Our panelists will each choose an image from their own research, and describe how the image-making and image-interpretation process works in the context of cutting-edge cosmological research. 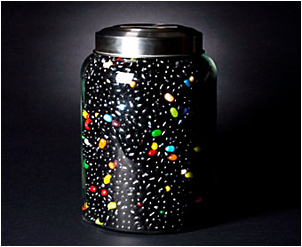 Dark Matter (direct and indirect detection); Dark Energy; Inflation; Large Scale Structure; Cosmic Microwave Background; Lensing; Galaxy Clusters; Dark Ages; Reionization; Dwarf Galaxies; Galaxy Evolution; BAO; Modified Gravity; 21 cm Emission. 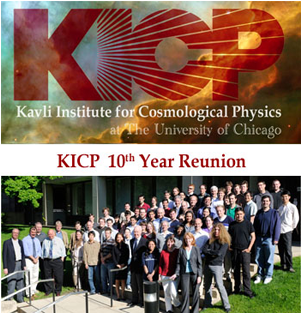 We are inviting our Alumni and their families back to KICP to reconnect with our colleagues and collaborators for a day of science, camaraderie and fun. The program will begin in the morning with science talks from current and former KICPers, ending at beautiful Promontory Point for Barbeque and games. 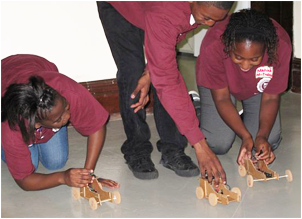 The 2010 KICP Yerkes Summer Institute was all about "work" and understanding the fundamentals and applications of Simple Machines. In the "Lift" lab the students learned about the physics of work against gravity with pulleys and a block and tackle. The "Trebuchet" lab was an examination of the physics of the lever and more, as it involved the construction of individual popsicle-stick sized trebuchets and a modest scale (~10 foot) modern siege machine. The "Gears" lab delved into mechanical advantage and disadvantage, how to calculate them, and how to apply them in the real world. The nighttime activities focused on observing the night sky with the naked eye, binoculars and the observatory telescopes as well as using gears to track celestial objects for astrophotography and capturing images on a research grade CCD. The institute culminated with student presentations to parents and peers. Each of three reporting groups made a presentation about the laboratory that they had spent two additional days (12 hours) of extension activities exploring. As well as the high school participants, nine (9) young KICP scientists gained valuable teaching, team-working and communications skills planning and executing this week long, science immersion experience. Instructors: Louis Abramson, Alissa Bans, Matt Bayliss, Kyle Cudworth, Nicole Fields, Vivian Hoette, Florin Ionita, Chris Kelso, Yeunjin Kim, Rich Kron, Randy Landsberg, Melanie Simet, Kyle Story. Recent lab measurements suggest that the detection of microwave emission from air showers, caused by free electrons collisions with neutrals in the plasma left after the passage of the shower, can be used as a feasible technique to study ultra-high energy cosmic rays. This promising technique, if confirmed, would provide a calorimetric energy of the primary particle as fluorescence detectors in combination with a high-duty cycle and without the drawback of atmospheric attenuation (which requires continuous monitoring with specialized equipment). Several activities based on this potential detection method are now ongoing in the cosmic-ray community. 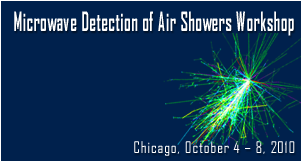 The Kavli Institute for Cosmological Physics at the University of Chicago will hold a workshop in microwave radio detection of UHECRs. The objective of the workshop is to contrast ideas and current efforts while aiming towards an effective coordination of the different projects. Time will be dedicated to discuss the different approaches, simulation tools, and hardware solutions. 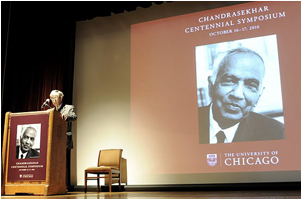 Subrahmanyan Chandrasekhar, 1983 Nobel Prize for Physics for key discoveries that led to the currently accepted theory on the later evolutionary stages of massive stars. KICP is a co-sponsor of the Symposium.